Pickering’s Gin is based on an old Bombay recipe, discovered on a handwritten fragment of paper dated 17 July 1947. Kept as a family secret for over 66 years, it only resurfaced in 2013 when Pickering's began distilling at Summerhall in the heart of Edinburgh. 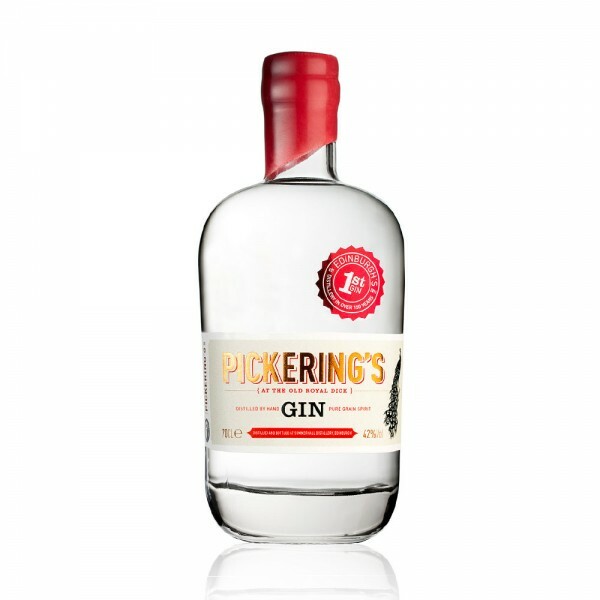 The now fine-tuned Pickering's Gin is a perfect balance of botanicals that uses the traditional recipe, tweaked for the contemporary palate. Light, fresh and bold flavours of citrus and juniper give way to intense warming spice of cardamom, coriander seed and clove. A background sweetness from anise and fennel leads to a crisp, dry and exceptionally smooth finish. Recommended serve: with ice, tonic and a slice of pink grapefruit.